Suddenly, as never before, the streets of many cities of our country lost a virginity that it had maintained since the 1910 Revolution: Mexican Army units were displaced but not to the barracks, not to any community in a tragedy by a hurricane or an earthquake. They came with their weapons in front to stay there, in the corners, on the sidewalks, where cops were before. It wasn’t a minor change for a majority who were used to seeing soldiers on television. With them, from the night to the morning, bulletproof vests appeared, machine guns mounted in open vehicles, outlines of federal police. And what seemed to be a temporary thing kept spreading for months, and then years. Armored cars became common throughout the country while terms such as “executed”, “sicario”, “kidnapped”, “agitated”, “company”, or “decapitated” became part of the jargon of many in the media, of journalists and of the population in general. In a few years, we added another term, which nobody knows whether it was coined in the press or in the streets, to that ominous language, but it clearly came from a new reality. “Narcofosas” (Narco-graves), for example, which refers to clandestine cemeteries scattered throughout the territory; “autodefensas”, which refers to the efforts of the citizens to defend themselves against criminals that seized physical territories and of the income of its inhabitants. Extortion was just a word until now, when it became a reality spreading throughout cities and in huge urban sprawls, such as the State of Mexico surrounding the capital. And among all the words that became common, a jarring: “kitchen”, and all its derivations: the verb “to cook” or the subject “the cook”. It refers to the massive disappearance of bodies in acids or burned in 200 liter drums. Bodies from the war between cartels or simply just victims of violence. The sun became clouded for cities that were synonymous with relaxation and fun, like Acapulco, Morelia, or Cuernavaca. States with relative tranquility, such as San Luis Potosí or Guanajuato became restless lands. Life became impossible in societies that were already permeated by the narco, such as Ciudad Juárez, Apatzingán, Tijuana, Chihuahua, Piedras Negras, Nuevo Laredo or Reynosa. The pus of violence that came with the war spread throughout towns and villages, and at the dawn of this reality, names of new criminal gangs appeared and consolidated their presence at almost the same time that the federal government showed off the arrest of heads of drug trafficking groups. The decapitated became common, as well as heads in coolers, mayors and journalists assassinated, police officers kidnapped and tortured. Entire towns entered psychoses, from north to south, while the hidden powers were sharpening up their tools they used to control: they dared to dictate, through social networks, “curfews”. And it all happened in the blink of an eye. Certainly, the war on drugs is not new and hasn’t lasted for a decade. History attributes it to Richard Nixon, who declared drugs as “public enemy #1” in the United States in 1971. 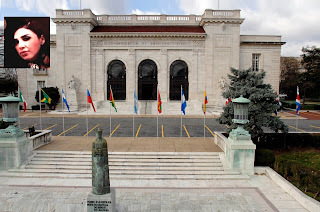 Mexico, a production and transit territory for a century, joined the late 20th century under pressure from Washington, particularly over allegation of corruption and omission that came from the agencies, in the Executive and Congress. The suburban community of Eastlake, 10 minutes from the San Ysidro border hides many secrets, since the days of the Arellano Felix brothers, when some of their main enforcers called the neighborhood home. A bit of an open secret among those in the know in San Diego, Eastlake and it's sister enclave Bonita, are manicured and sculpted gated communities, whose HOA and neatly trimmed lawns barley conceal it's bloody hidden side. 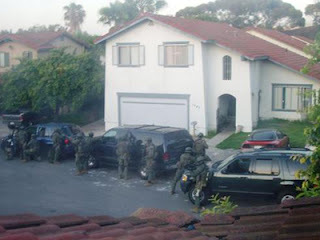 Things started to leak out, in 2004, when an anti major drug traffickers task force took down three Arellano Felix hitmen and traffickers, including Jaime Ocapmo, who lived in Bonita, in a large suburban mcmansion, with all the trappings of the quiet, luxurious American Dream. Except federal authorities allege he ran a kidnapping and enforcement crew from his home in San Diego, leaving dead bodies and abducted victims across Tijuana. Also, Gustavo Rivera Martinez, El EP1, or El Lic, lived there with family for some time, growing up in the Bonita area, before relocating down south. Rivera Martinez was a confidante of Endenina Arellano Felix, and Bat Marquez, and coordinated the transshipment of tons of marijuana, and hundreds of kilos of cocaine. After the arrest of El Tigrillo, El Lic seemed poised to take then reins, when he was arrested near Los Cabos. Manuel Ivanivich Flores took control of his cell, until his arrest in 2009. Power players and mostly their families dotted the cul de sacs of Eastlake and Bonita for years, making homes, livings, interior design and gym memberships, creating quite the community of soft targets. Los Pallios began to cut a blood and acid soaked path through the neighborhoods in 2004, bodies turned up on golf courses, toothpicks scattered around the corpse. 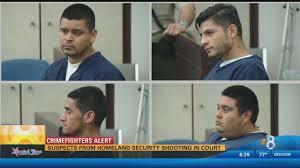 Men quietly rented stables in San Ysidro, and disposed of bodies in acid on a quiet horse ranch. Kidnappings were conducted with vests and badges, automatic rifles and Los Pallios shot it out with the police on one occasion in 2004. Homes were rented for kidnapping victims, women used as bait to ensnare macho and unsuspecting traffickers linked to the Arellanos, as Los Pallios sought their vengence and fortune, through kidnapping, torture and murder. The son of Don Balas, 'Balitas' was lifted up, and returned for 1 million. Eduardo Tostado Gonzalez, 'El Mandil' was kidnapped, beaten, and thrown in a closet. His wife, per his instructions, did what few did, called the FBI. 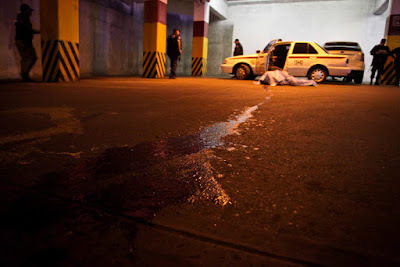 The number of homicides in May reached levels unseen during the administration of Mexico President Enrique Peña Nieto, and the fact that they are more widespread makes the trend increasingly difficult for authorities to reverse. Mexico's Executive Secretary of the National System of Public Security (Secretariado Ejecutivo del Sistema Nacional de Seguridad Pública - SNSP) announced there were 1,746 homicides nationwide during the month of May, reported Milenio. The previous high for murders under Peña Nieto was 1,726 in December 2012, the same month he was sworn in as president. The last time homicides were this high was in September 2012, when former President Felipe Calderon was still in office, reported El País. Mexico's homicide rate rose to 14 per 100,000 in 2015, reversing a downtrend trend in violence for the first time since 2011. And homicides are up 19 percent during the first five months of 2016 compared to the same time period last year. Violence in Mexico is not only rising, it's spreading. Homicides have increased in 23 Mexican states during the first five months of 2016, according to Animal Político. The largest jump has come in Colima, where murders have risen by over 400 percent compared to the same time period in 2015. The Pacific state also owns the country's highest homicide rate, with 33 murders per 100,000 inhabitants. Security analyst Alejandro Hope told InSight Crime that several factors are likely behind the rise in Mexico's homicide rate. But ultimately, Hope notes, these are only hypotheses. It's still not clear what exactly is driving the surge in murders. "We don't know for sure," he said. But authorities no longer have the option of simply deploying federal troops to a few violent hotspots. The violence is too widespread. Authorities will have to come up with alternative means to stop the bleeding. 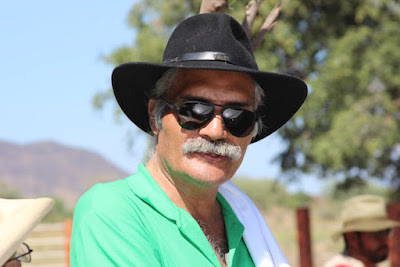 Ignacio Mendoza Jiménez, lawyer of the leader of the autodefensas in Michoacán, said that within 48 hours, a judge in the 7th Circuit Court must decide on his request so that Mireles Valverde can continue his release process. He ensures that, so far, charges against Mireles have been unable to stick, not even that of bearing arms, because of the fact that the autodefensas had the permission from the government to be armed. He noted that the proof is that in different operations, they were accompanied by members of the Mexican Army and the federal police. Mexico City, June 27, 2016 (SinEmbargo)— In 48 hours, the 7th Circuit Court in Guadalajara will make a ruling on the legal status of the leader of the autodefensas of Michoacán, José Manuel Mireles Valverde, who on Monday, completed being imprisoned for two years. His lawyer, Ignacio Mendoza Jiménez, said that on Wednesday, the Judge of the 7th Court, Isidro Avelar Gutiérrez, will have to issue a ruling on the appeal made by the defense which asks for the liberation of Mireles Valverde, since they have been unable to fully prove the crimes for which he is being imprisoned for in the Federal Social Readaptation Center #11 in Hermosillo, Sonora. “In 48 hours, there will be a hearing to modify the precautionary measure and achieve the physical liberation of the doctor but not the conclusion of the process,” he said. 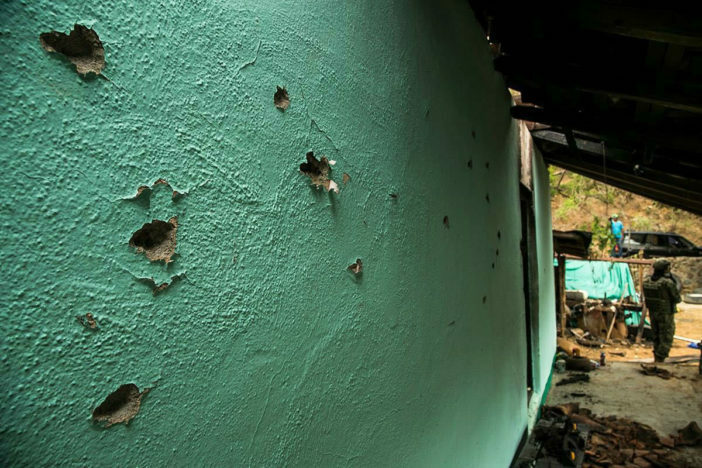 “Since 2013, the Government of the Republic knew autodefensas were forming and there was no interposition or action to stop them, knowing that not only did they do activism in the villages to warn of the presence of criminals, but they also fought them with arms, moreover, they institutionalized them,” the lawyer stressed. He added that for Mireles and the other autodefensa members, there are three grounds for the exclusion of the crime, so they are not responsible for these acts and should be free. He noted that the record in the process has already proven conclusively that the Mexican Government gave consent to Mireles Valverde and to all of the autodefensas of Michoacán, the authorization to keep and bear arms, and even made joint operations with the Mexican Army and the federal police. “The Mexican Government granted him and all of the autodefensas in Michoacán authorization to bear arms. Prior to the arrival of the Commission [for Security and Integral Development of Michoacán] a movement emerged in La Ruana, in which, civilians armed themselves and confronted organized crime, during that time, the Mexican Army accompanied the autodefensas in operations, and this is documented, they never stopped them and never told them not to do so,” Mendoza Jiménez said during a news conference. “The failure of the Federal Government was not using Article 29 of the Constitution which we call “exceptional state”, which would have provided them with special laws and the Court would’ve analyzed what was to be done, since they didn’t, they did everything outside of the legal framework,” he said. 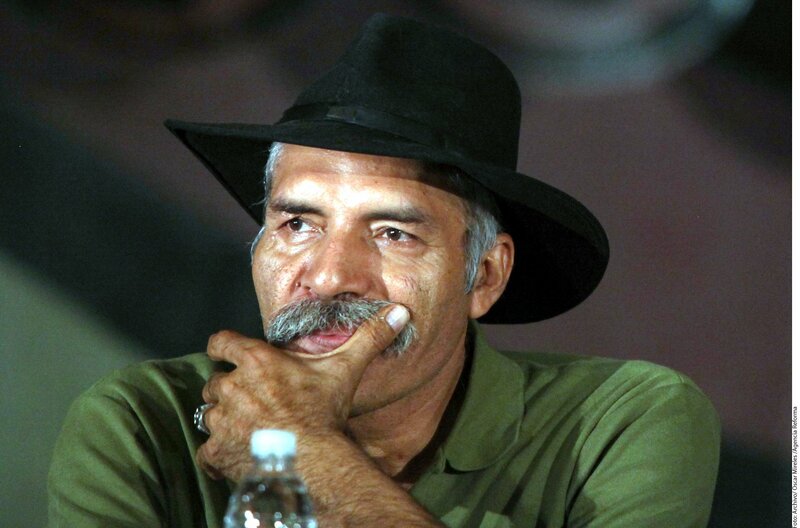 Almost two years after his arrest, José Manuel Mireles argues that the autodefensas didn’t have any other choice but to take up arms to fight against organized crime in Michoacán. “Those responsible for the violence in Michoacán are the organized crime cartels. Who dictated our way of fighting, was them; we didn’t have any other choice but to respond in the same way, fire with fire,” he said in a message recorded from prison. 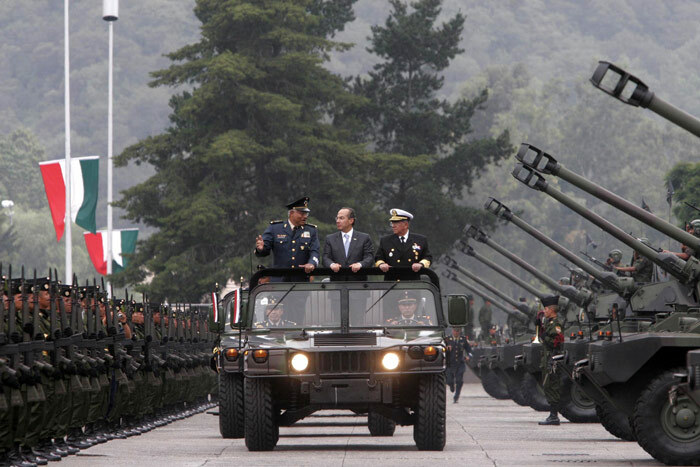 The former spokesman of the General Council of Autodefensas in Michoacán noted that for over 12 years, the government’s fight against crime didn’t give results. He believed that when the law contravenes with justice, justice must prevail no matter if it comes from the people. “That is why the autodefensas face off against crime and that is why some of us are prisoners, but we have no doubt that at the end of our judgements, truth and justice will prevail, because fixing this kind of slavery is the highest aspiration of all social fighters,” he said. For the activist, imprisoned since June 27, 2014, the struggle of armed civilians prevented another generation of children and youths from finish their days enslaved to organized crime or in prison. The message was released during a rally that was held on Friday in downtown Morelia to demand the release of the fellow surgeon who took up arms in 2013. Mireles was arrested after entering the community of La Mira, in the municipality of Lázaro Cárdenas, with his men, in order to take control of security against the criminal siege of Los Caballeros Templarios. The activist was charged with crimes against health and the Federal Law on Firearms and Explosives, being held in the maximum security prison in Hermosillo, Sonora. A man who spent much of the last five years searching for his missing daughter was killed Wednesday in the northern Veracruz city of Tuxpan. 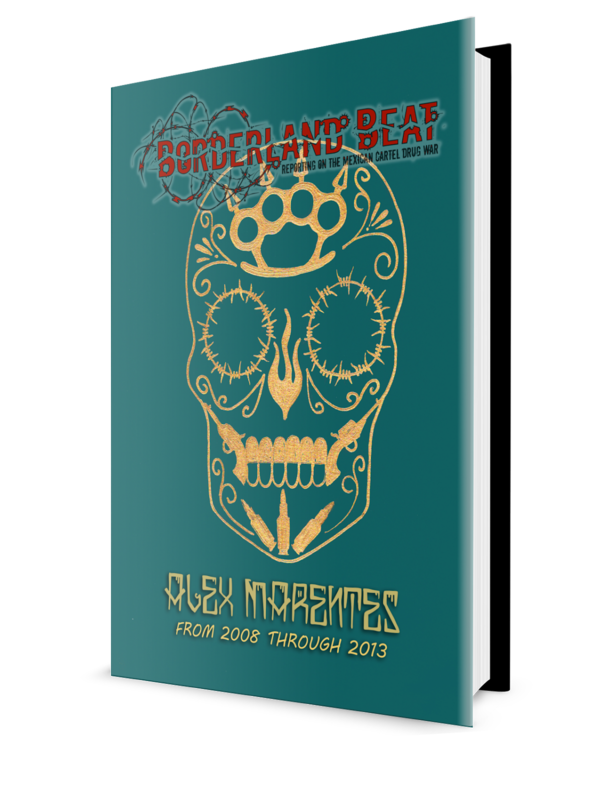 José Jesús Jiménez Gaona became an advocate for missing people and their families in his own community after the disappearance of his 23-year-old daughter, Jenny Isabel Jiménez, 2011. He was also one of the newest members of the National Search Brigade for Disappeared People, which has been active recently in the state of Veracruz. 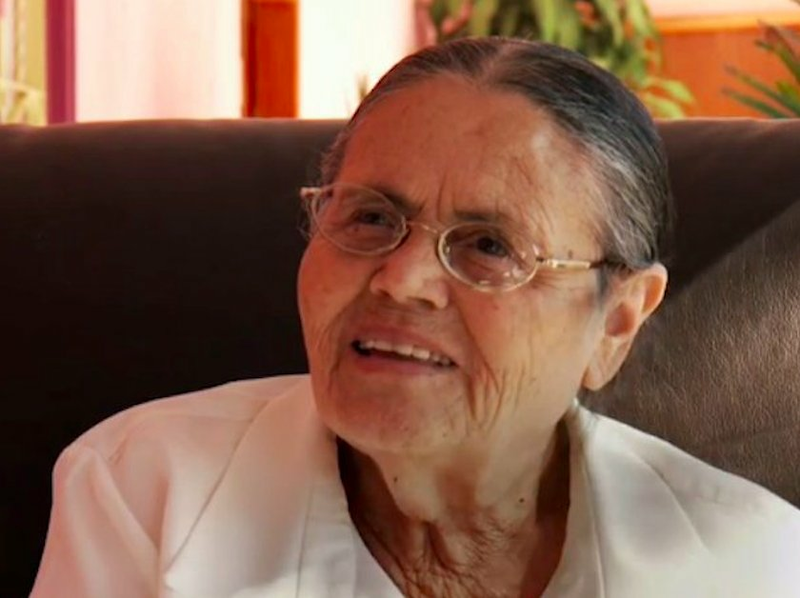 Jímenez and his wife, Francisca Vázquez Mendoza, had reportedly been meeting with other members of the search organization regarding a second visit to the Córdoba-Amatlán region of the state, where human remains were found by the group in April. 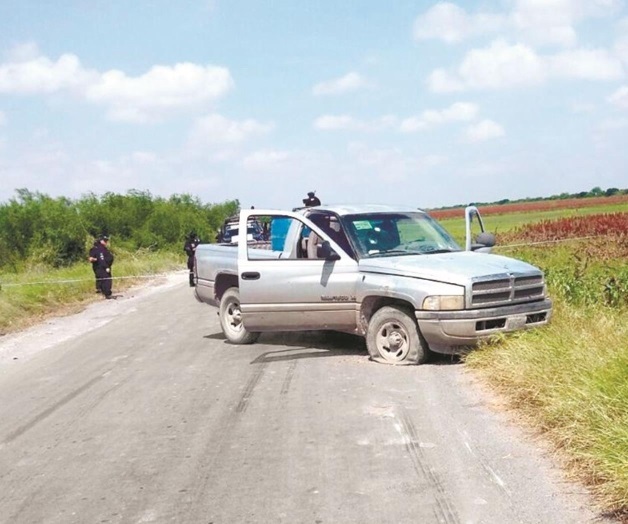 On Wednesday, three people aboard a pickup truck overtook Jiménez’ vehicle on a Tuxpan road and opened fire with assault rifles. Jiménez died at the scene while Vázquez sustained three gunshot wounds and was transferred to a Poza Rica hospital. Members of the brigade told the news website Animal Político that Jiménez and Vázquez had been members of the organization for just a month. “What just happened to José Jesús is another example of what can happen to us, the people that are looking for their missing relatives. 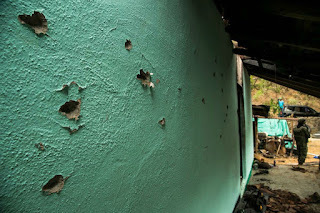 Unfortunately, we can end up dead, like my colleague,” said Mario Vergara, a member of The Other Disappeared from Iguala, one of the brigade’s founding organizations. DD (For closed caption English translation of the video, click on the little icon that looks like a gear,, when the box comes up that says spanish (auto generated) click on the auto translate just below that. A box will come up with different languages and just scroll down to English and click). 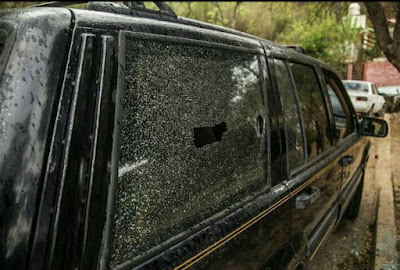 Thursday and Friday were bad days in Guerrero where 21 people, including three Federal Police officers, were reported assassinated as drug gang violence continues. Federal Police were having lunch and relaxing on their day off at a fonda (inn) in the mercado agroindustrial. They were dressed in causual civilian clothes (T shirt, shorts and tennis shoes) when shortly after 2:PM three gunmen walked into the market and opened fire on the three policemen with high caliber weapons. All three were killed and a woman who worked in the fonda and another civilian bystander who was close by.were injured. In a statement, the spokesman on security Guerrero Coordination Group, Roberto Alvarez Heredia, reported that 'the agents who lost their lives are Rafael Gomez Flores, César Arce Florentino and Alejandro Tinoco Arreola. He reported that the investigation file 12040190100034240616 for the crime of homicide against person or persons responsible The statement reported that 'immediately' after the triple homicide was conducted a police operation to find and arrest those responsible for the attack, but not whether there were any arrested. .
Less than 24 hours after the death of a journalist in Oaxaca, a reporter in Tamaulipas state has been killed by a group of armed men. She is the eighth journalist killed in Mexico this year. On the morning of June 20, journalist and teacher Zamira Esther Bautista, 44, was shot while in her car outside of her home in Ciudad Victoria, the capital of Tamaulipas state in northeastern Mexico. According to Proceso, Bautista was a freelance journalist and teacher, but had covered the social section in newspapers El Mercurio and La Verdad de Ciudad Victoria. Proceso reported that she was killed at 6:30AM:as she was entering her car to go to shool to her teaching job. It reported that seconds later a group of armed men in another car drove up and shot her. 10 days ago, on Saturday June 11th, reports began coming out of Sinaloa of a heavily armed commando of at least 150 men, stormed the town of La Tuna, Badiraguato, Sinaloa, and two adjacent towns. Reports indicated that the home of Consuelo Loera Guzman, the mother of Sinaloa Cartel capo Joaquín Archivaldo Guzmán Loera (El Chapo) was ransacked and robbed. The reason for the attack is said to be, in part, a search for the brother of El Chapo, Aureliano Guzmán Loera, aka El Guano. The larger motive goes back years, precisely to January 21, 2008. 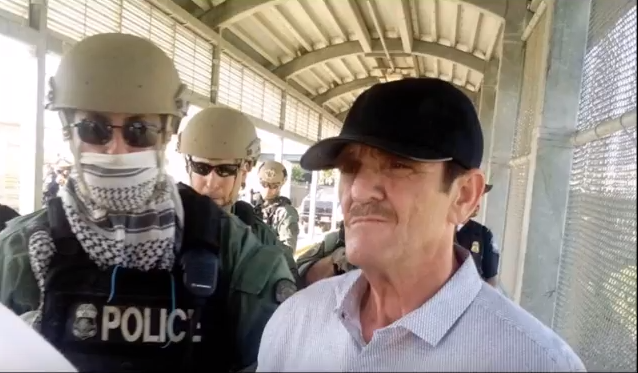 On that date, Alfredo Beltrán Leyva aka “El Mochomo”, and three of his guards, were arrested in Culiacán, Sinaloa. With Mochomo, were two suitcases with 1 Million USD, fragmentation Grenades, assault weapons, 4 dozen bullet proof vests, which bore FEDA, which stands for Special Forces of Arturo. Arturo was the leader of BLO (Beltrán Leyva Organization) and Mochomo’s brother. The arrest transpired because of information from an anonymous call to authorities. The caller reported that Mochomo was expected at the address for an exchange of money owed to their Colombian partners. This Monday morning June 20 Blanca Vianey Durán Brambila, former partner of Valentin Elizalde died after being shot in the head. The incident occurred on Chihuahua street between Guerrero and No Reelección in Cajeme, Sonora. 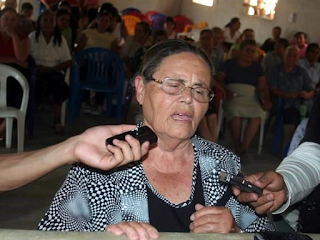 40-year-old Blanca was taken to a nearby hospital, however, she did not survive the attack. The now deceased, was accompanied by her daughter who witnessed the attack, she was unharmed in the accident. 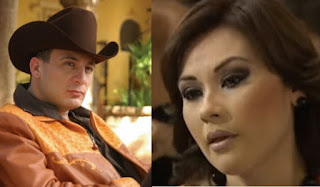 She is also the daughter of the late singer Valentin Elizalde shot dead in Reynosa, Tamaulipas in 2006. According to witnesses who were at the scene, the person who shot Blanca is a male who after shooting Duran Brambila, in the head fled on a Grand Cherokee. So far the identity of the murderer, his whereabouts and the motive is unknown. 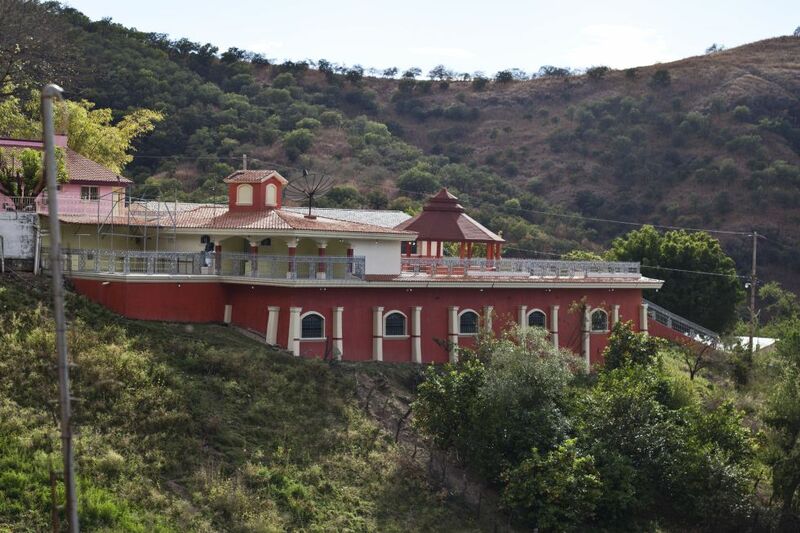 150 gunmen burst into the sanctuary of Guzman Loera, they killed three neighbors and ransacked maternal home. Testimonies collected by local media said the large group of gunmen arrived mid-morning, seemingly without fear. One group burst into the mansion of Consuela Loera, (at top)stole two cars, three motorcycles and cut telephone lines. Simultaneously, other parts of town were attacked. One of the neighbors was dragged from his home and killed in the street. Many people, have fled the area in fear. Who directed the attack remains a mystery. 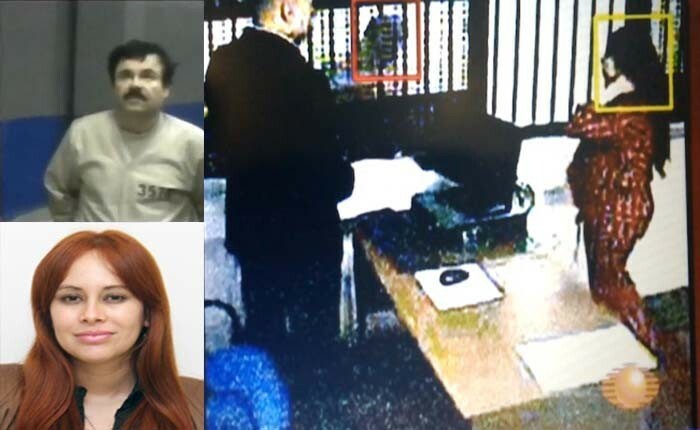 A first version, by expert Cynthia Valdez, indicated that the brazen attack was a settling of scores within the Sinaloa cartel. Namely retribution against Guzman Loera’s sons, Ivan and Alfredo. Other sources indicate that the attack was perpetrated by the Beltrán-Leyva Cartel, old and fierce rivals El Chapo. For years they fought a war that horrified the country. 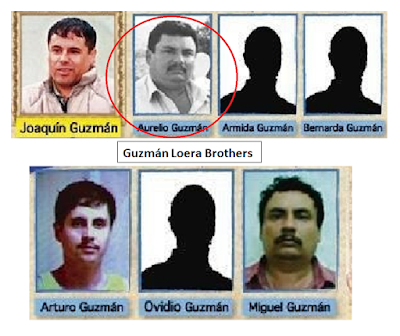 Guzman Loera had hired BLO initially as armed wing, until in 2008, when Alfredo Beltran Leyva, aka “El Mochomo” was arrested. Mochomo was a lieutenant of Chapo’s at the time. 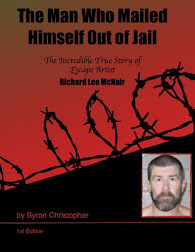 Chapo was accused of setting Mochomo up by working with the feds, in exchange for his son to be released from prison. 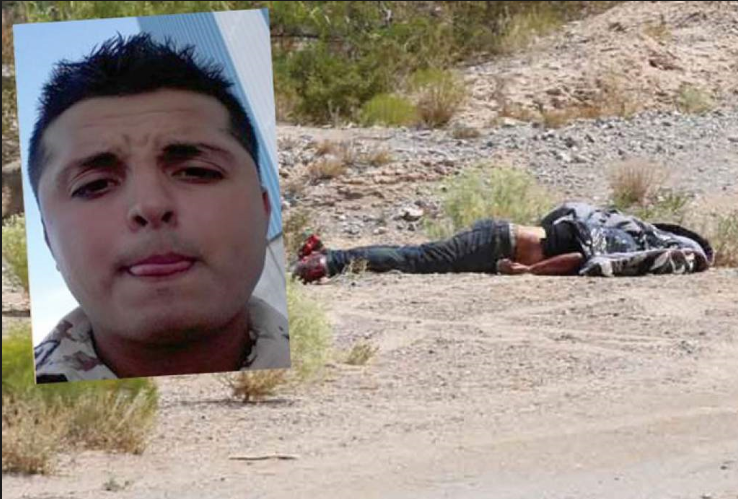 The blanket-wrapped body of a man was discovered on a dirt road near colonia Felipe Ángeles in Juarez, has been identified as Jorge Mauricio Melendez Herrera. Melendez, was an active member of the Secretaría de la Defensa Nacional (Sedena). The federal PGR agency has taken over the investigation, after it was confirmed that Melendez was assigned to the special federal operation in charge of the Juarez prison custody of Joaquin Guzman Loera ("El Chapo"). Melendez’ family reported to the Chihuahua State Attorney General (FGE North Zone), that they had not seen or heard from him in several days. It was relatives who positively identified the deceased man as Melendez. Melendez showed signs of torture, and sustained multiple stab wounds, but authorities reported his death was due, to a coup de grâce gunshot blast to the back of his head. The controversial congressional Sinaloa representative, Lucero Sánchez López, has been stripped of her parliamentary immunity. This action paves the way for a formal investigation and possible prosecution. Sánchez is, allegedly, the mother of El Chapo’s youngest child, a son, born while Chapo was imprisoned in Altiplano, prior to his escape. Although she denied visiting the Capo in prison, she was seen on video tape footage at the prison visiting Chapo. After his infamous tunnel escape from Altiplano, Chapo was reported seen visiting Sánchez and spending the night with her and their child. This caused a federal operation in Cosala, the municipality where Sánchez lives, but Chapo managed to flee. With Sánchez at the prison, was El Chapo’s lead attorney, who confirmed it was Sánchez visiting El Chapo and that he accompanied her to the prison. It is alleged she used false documents to visit Chapo. This is the second known occurrence where gunmen ambush federal forces in a month in San Fernando. Yesterday, armed gunmen aboard two trucks opened fire on a convoy of the federal police, federal forces division, in a failed ambush where eight of the gunmen, belonging to a criminal group that controls the area, died. The fighting occurred yesterday when the officers carried out surveillance patrols at 13:00 hours, three kilometers from the federal highway Entronque Urracas–Reynosa (also known as “Y”) kilometer 41, along the agricultural corridor of gap 40 that leads to the neighborhood Agrícola Francisco González Villarreal, belonging to the municipality of San Fernando. In this area, a convoy of members of the federal preventive police led by the patrol vehicle #13754, were on a patrol when they were attacked by armed gunmen that were traveling aboard two trucks. Upon realizing that they were cut off by the federal forces, the gunmen in the white truck opened fire at the convoy of federal agents, repelling the aggression. 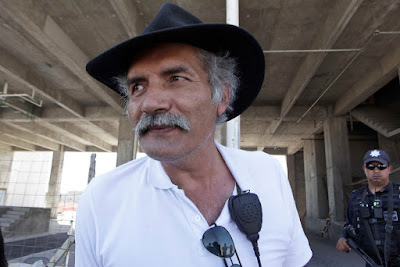 In a period of four to 20 days, José Manuel Mireles Valverde, former autodefensa leader of Tepalcatepec, Michoacán, will be released; according to his lawyer, Javier Livas Cantú. The litigant said that after the withdrawal of the judicial review that was announced last Friday by the Attorney General’s Office (PGR), the writ of protection 52/2014 allowed Dr. Mireles to no longer be “hampered” by the federal authority. “The only thing still pending is for the issue of the doctor to go down to the Tenth District Court—based in Uruapan, Michoacán—and to consider the effects of the protection, in order to rule on a new resolution, a judicial decree of formal freedom,” he explained. 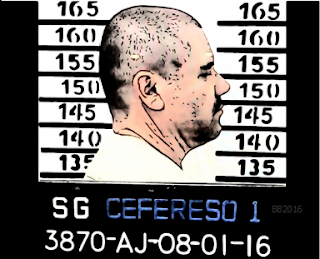 The former autodefensa is imprisoned in the federal prison in Hermosillo, Sonora, along with his bodyguards, since June 30, 2014, accused of bearing arms for the exclusive use of the Mexican Army and crimes against health. “As Mireles’ defense, I am very positive because it is very rare for the procurator, Arely Gómez, to offer this type of withdrawal and to send a very clear message that the PGR no longer has a perverse interest and the case is being seen with new eyes,” he said. Livas Cantú met with representatives of the media after visiting Dr. Mireles, where he explained the legal developments in the case that has kept him imprisoned. Separately, the lawyer of the autodefensas, Talía Vázquez, said that Mireles and his bodyguards would leave the prison next week.